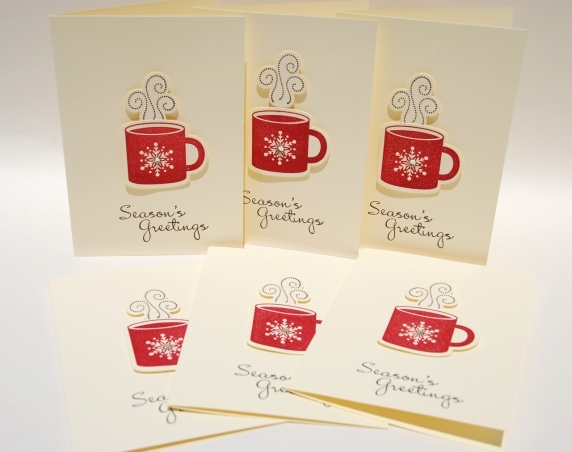 "Season's Greetings" red mugs of hot drink cards handmade by Lisa of Cards by Li Be! 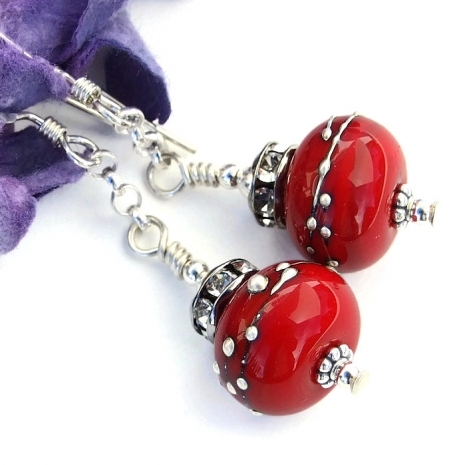 Such great red lovelies! Thanks so much for featuring my slipper socks! All items pinned and tweeted. Gorgeous line up, one beautiful Red after another!! Thank you Catherine! A lovely collection of reds! 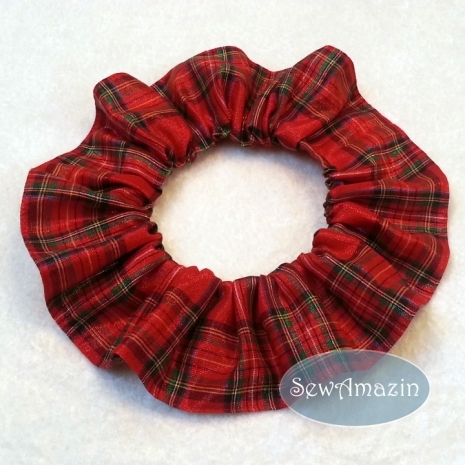 Thank you Catherine for including my red plaid dog scrunchie. All pinned. 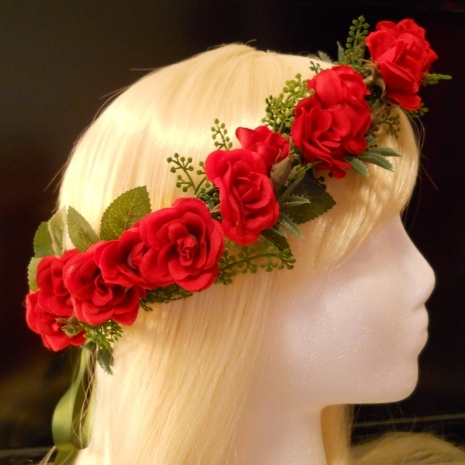 These beauties are to die for! I have drooled all over them! What a fantastic collection of handmade treats! These will delight anyone who opens a package with these gifts! 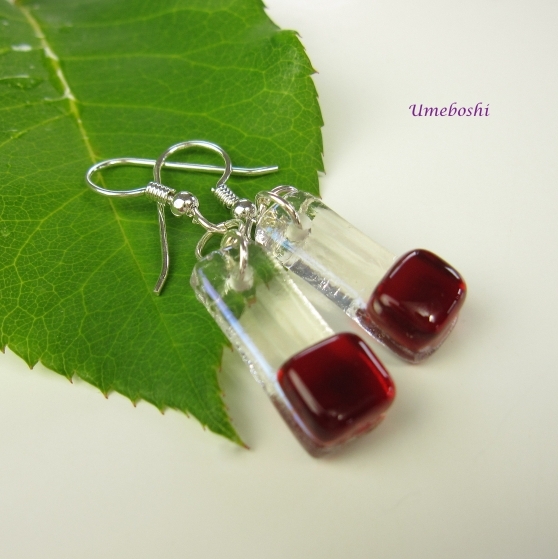 Thanks so much for including my fused glass earrings! I have pinned all of these. A Beautiful Red Rush of Joy for the the Holidays! 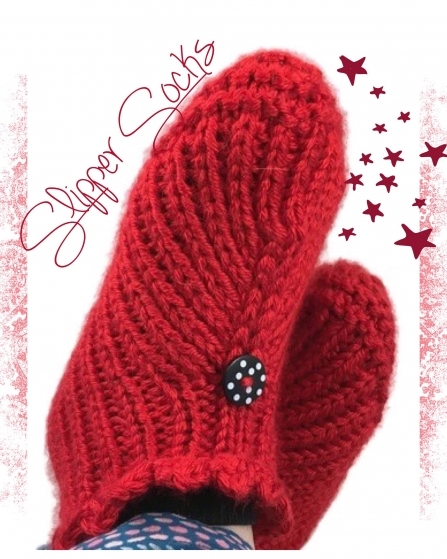 From the doggie Ruff, wonderfully warm coco mug and slipper socks to the Beautiful Red Beads! 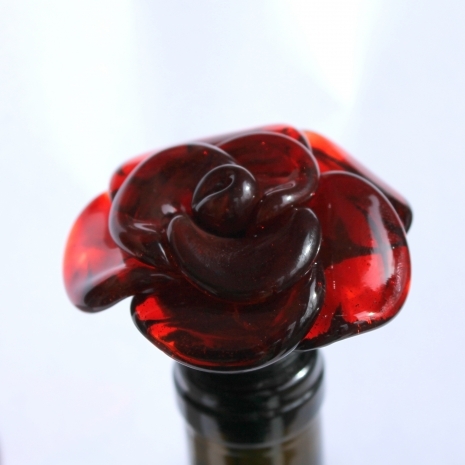 That Lampwork Rose wine stopper is to die for! Whether it's to hurry up to get those gifts, or to stop, warm up and enjoy the season! This Joyful Red realy works! Wishing you the Joy of Red this Holiday Season! These reds are really gorgeous. It's such a rich color. 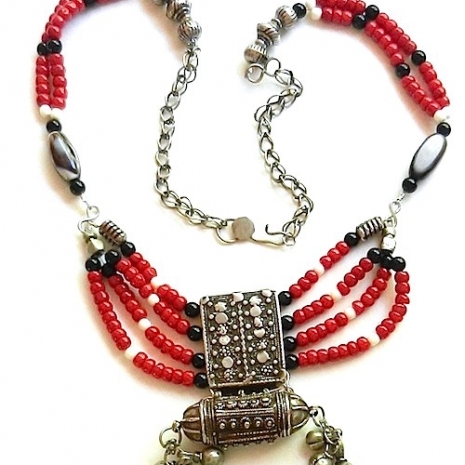 Especially love the dramatic Old Yemen silver amulet necklace! 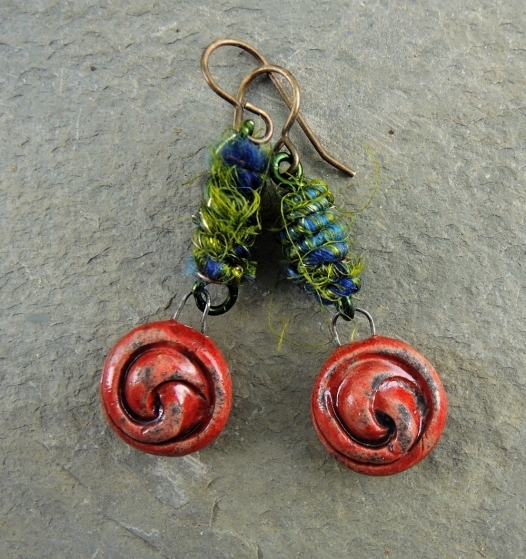 Thanks for including my earrings in this collection! 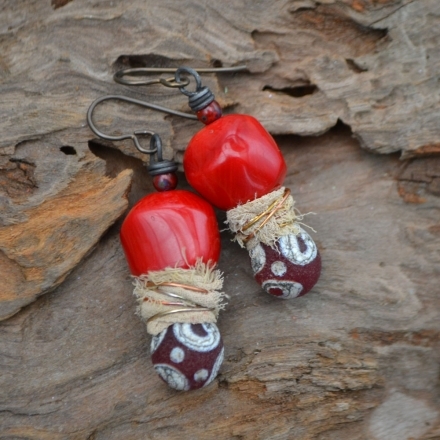 Love your choice of reds in your collection of Wonderful Handmade Wednesdays! 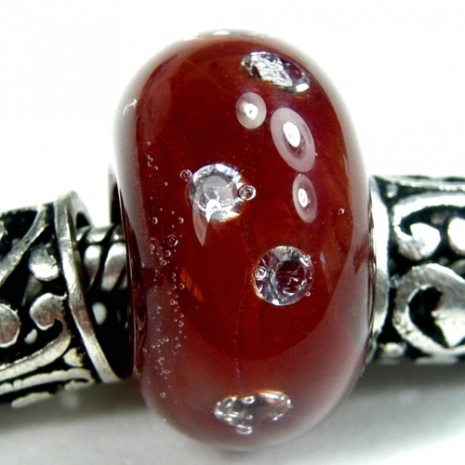 Thanks for including my lampwork bead. Thanks for including my Yemen silver and coral necklace. Shared gladly. 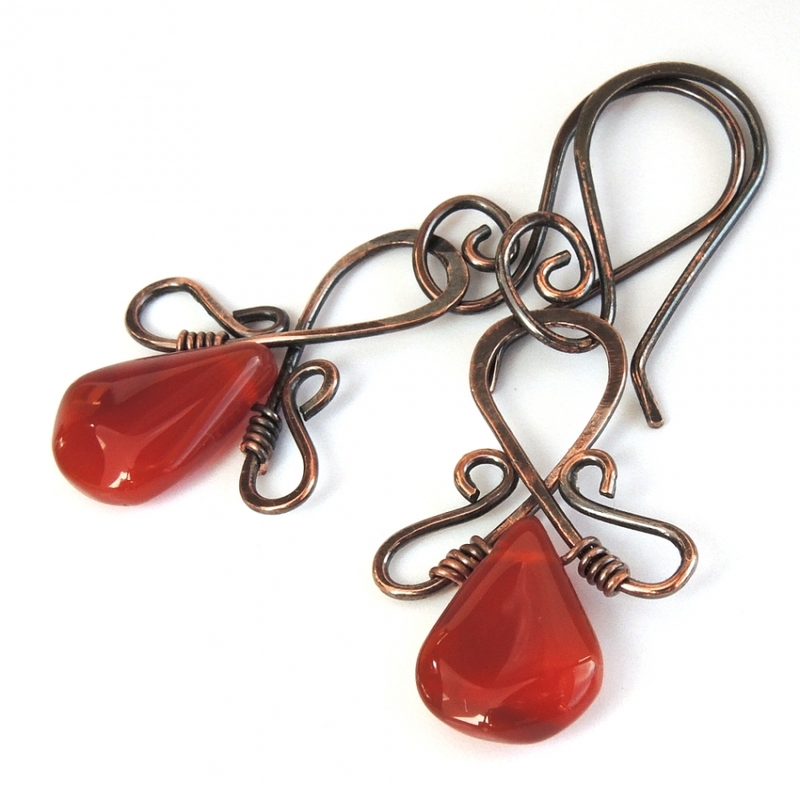 Gorgeous selection of red items for this gift guide for Christmas. Thanks as always Catherine for including my set of cards. Thank you, everyone, for all the kind comments and all the promotion! It is greatly appreciated!